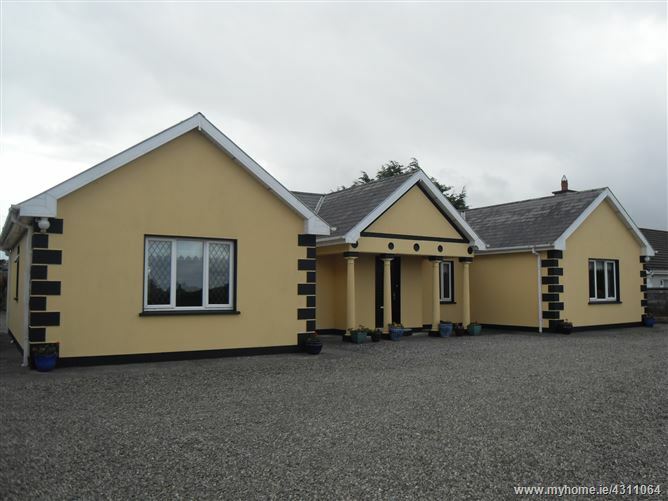 Detached Bungalow Residence with workshop/store. Located in a quiet cul-de-sac just off Croom road about 1 1/2 miles from Bruff. Kitchen/Dining room :4.85mx6m Tiled,fitted,integrated appliances. Sitting room:4.8mx6m feature fireplace,fitted units,carpet. Bathroom: 4m x 2m tiled and usual fittings. Kennell block, Glasshouse. Mature gardens front and rear. Oil fired central heating, Upvc windows and doors,Workshop/shed.